Junior League of Oklahoma City is proud to partner with many nonprofit and community agencies across the metro area to address Health and Wellness needs across our community. 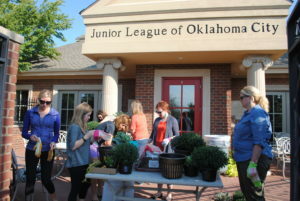 Our Provisional, Active, and Sustaining members engage in various Community Service projects across OKC. Between June 1, 2017 and May 31, 2018 our Active Members volunteered more than 5,000 hours in the greater Oklahoma City community, totaling a value of more than $120,000! For a full list of Partner Agencies and our Community Projects, please click on the individual project listings to the left!